The FIFA World Cup is the ultimate sporting event in the world, the trophy is the ultimate trophy to win and the story is the ultimate story to tell. 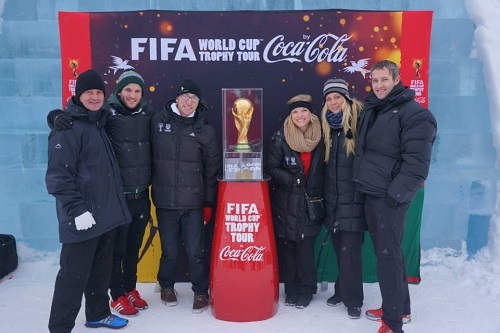 A friend of the blog, Brad Ross (@BradLegend77) recently completed a FIFA World Cup World trophy tour. He wrote this for the Coca-Cola blog and agreed to share it with our audience too. Its an epic story. How do you quantify an experience that changes your life in so many ways? Where do you even start when you try to explain to people what you and a band of brothers, a so called modern family, have just been through over the past 9 months? How do you start talking about things you never expected to learn, places you never expected to see, people you never expected to meet and that humanity is inherently in a much better place than you ever thought? To say the last nine months opened my eyes is a vast underestimation of what this journey was to me. The last nine months have been life changing to say the least. There are so many highlights experienced on both a personal and professional level that I would be remiss to try and articulate them all here – although I would love to write my full memoirs of the tour, I will try and put it into a précis version and give you a quick snapshot of what life on the tour was like. 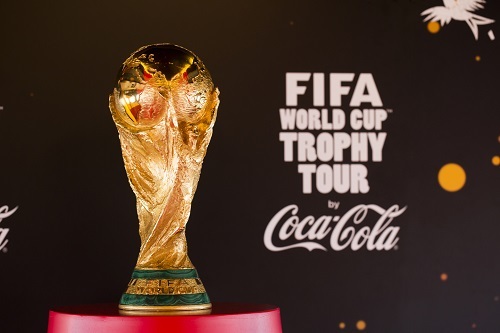 The FIFA World Cup Trophy Tour is the largest and most ambitious experiential marketing programme that I know of in the world today. 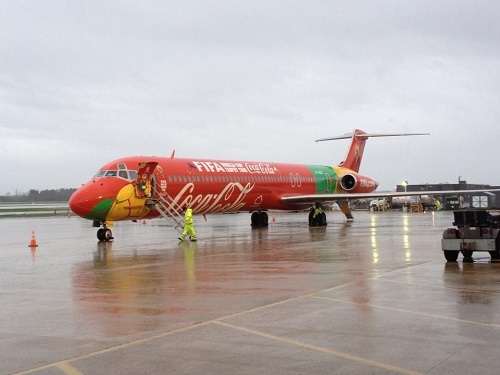 This 152,000 kilometer journey, circumventing the globe three and a half times with world sports most prized icon; The FIFA World Cup Trophy, is no small undertaking. The amount of planning, commitment, sacrifice and passion that it takes to pull something like this off is no small feat. The only conceivable way we made this dream a reality was through the amazing group of individuals, our very own dream team, which we had on board to deliver this amazing programme. 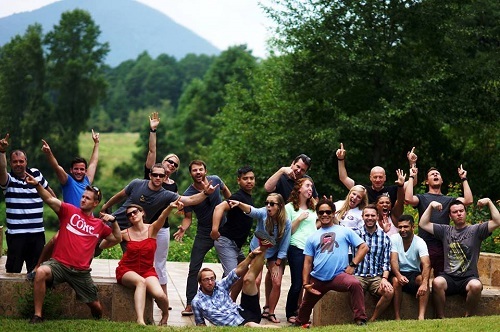 The old cliché says ‘it’s all about the people’ but this holds so true in this instance, and I was humbled and privileged to work with such a great group of people, sharing common values and reaching for common objectives that made the team what it was. The friendships and memories shared with this crazy group will long live on as a highlight and memory for me in the years to come. There were so many special experiences that we individually and collectively had along the way. One of the first counties we visited was Fiji. Upon arrival, we were received by his Excellency, Ratu Epeli Nailatikau, The President of Fiji on behalf of the people of Fiji. We were officially welcomed by taking part in a traditional Kava ceremony. Kava can be found in recreational and social gatherings and drank as a form of welcome and peace for honored guests to the country. The ceremony, with the various tribes and elders and the President was spectacular and the hospitality and inclusion we felt during that ceremony remained with us for the three days we spent in Fiji. One of the most impressive gestures I personally witnessed on the tour came when we left the county to move on to our next stop. It was a Sunday morning and our flight was departing at 6:30 a.m. When we arrived at the airport to check in we were greeted once again by the President of Fiji who came personally to say good bye and to thank us for bringing the FIFA World Cup Trophy to the country of Fiji. Needless to say we were all quite taken aback by his genuine humility and graciousness – at that point we all really knew what it meant to be embarking on this journey, the responsibility that vested with each and every one of us, the opportunity that lay ahead and ultimately the impact and effect we could make with this tour. Through the tour we were honored to meet a total of 45 presidents, which in itself was a pretty amazing experience. 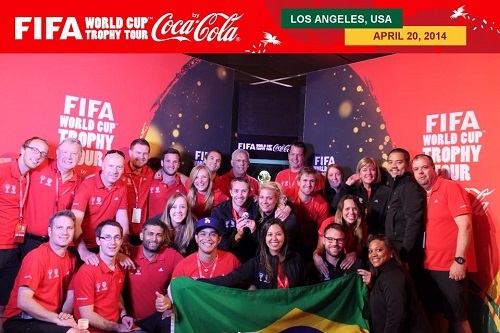 We truly felt like ambassadors for Coca-Cola and FIFA as well as each of our respective countries that we came from – an interesting fact is that we comprised of nineteen different countries. Although it was great to meet the heads of state, this was not the intent of the tour. Our intention was to make this the most inclusive and participatory FIFA World Cup ever and the most important people we met, were the people themselves. The passion that exists for the world’s game is palpable and this passion was evident in every single country we visited, no matter where on the world rankings their respective football team was seeded. One of these experiences that epitomized inclusion to the core was again in one of the first countries we visited. On the first day of the fan experience in Costa Rica, one of the first groups to visit the Trophy was a group from the Special Olympics. These kids were so inspirational and brought so much happiness with them that their spirit was infectious to all of us around them. We joined them as they made their way through the full experience and watching them participate in all the activities from art, to dancing and singing to having their very own football game, to having their photo with Feuleco, to watching the hologram and ultimately having their photo with the trophy gave me a great sense of accomplishment and pride in the work we were doing. This is what the tour was all about! Happiness, inclusion, and a sense of participation – Beautiful! Click here to see the Special Olympics video from Costa Rica. Hailing from South Africa, I knew that taking the trophy back home was always going to be an emotional moment for me on a personal level. We landed in South Africa on the 1st December which is World Aids Day. The team in SA wanted to honor the day and decided to take the trophy to St Mungos Kids Club in Diepsloot, which provides afternoon care for kids who have been orphaned by HIV/AIDS and linked to the Hope Worldwide organization. The Ubuntu spirit (which literally means “human-ness,” and is often used in a more philosophical sense to mean “the belief in a universal bond of sharing that connects all humanity”) of South Africa was in full force that day. Taking the trophy to St Mungos on that special day was without a doubt one of the highlights of the tour for me. Interacting and spending time with these orphans, watching their eyes glisten, and seeing them realize that they were important and thought of was incredibly moving and special for all of us. I will never forget when a young orphan was asked the question “now that Bafana Bafana (the National Football Team of South Africa) have been knocked out of the FIFA World Cup, who will you be supporting in Brazil?” He gave this some serious thought and then without flinching answered “Kaizer Chiefs” (a local team that plays in the SA premier league) to rapturous applause from the community gathered there. Another wonderful highlight in South Africa came when we flew with the trophy to Tzaneen to surprise some gogos (grannies) with the trophy. These grannies have started their own football league and the only rule to play is that you have to be 50 years and older to participate. We were so inspired by their story, their love for the game and their zest for life that we knew we had to take the trophy to visit them. Watching their reaction to the trophy and how grateful they were to have it there made the trip from Johannesburg to Tzaneen so worthwhile. Here’s a video on Granny’s Grannies. As part of our mission, we wanted to take the trophy to countries that had also never had the opportunity yet to host the trophy on their soil. We were able to take the trophy to fifty two new countries that had never had the chance to host the trophy. It is in these countries where we saw so many inspiring stories and experienced so many things we could never have imagined. Haiti, Myanmar, so many of the Caribbean countries, The Middle East, Pacific Islands, parts of Europe and Asia all provided such an amazing backdrop as first time hosts of the trophy. I remember discussing the idea of taking the trophy to Israel and Palestine under the banner of inclusivity. What was initially a far-fetched idea ended up becoming a reality as we were able to visit both countries and break boundaries by showing that some things truly unite us more than separate us. See here for more about this historic day and click here to see the Palestine video. We also discussed the possibility of visiting the Kingdom of Bhutan, a country that does not measure its wealth by the Gross National Product but rather by the Happiness Index. Landing in Bhutan required a special pilot as the approach and landing in Paro is not for the feint hearted. With surrounding peaks as high as 18,000 feet, it is considered one of the world’s most challenging airports. There are only eight pilots in the world certified to land at the airport under visual meteorological conditions only, and as such are restricted to daylight hours from sunrise to sunset. We knew the challenges and constraints that lay ahead of us to visit Bhutan but once again, the dream team pulled through and our aviation partners and specialists made this a reality. The flight into Bhutan was so worth it. We had the opportunity to meet His Majesty, Jigme Khesar Namgyel Wangchuck the King of Bhutan upon our arrival to the country. He seems to have been cut from the same cloth as the President of Fiji as his graciousness far exceeded any of our expectations. We spent time with him discussing various topics and how appreciative he was to be hosting the trophy in Bhutan for a day. His humility and leadership was not only evident through his words as later we learned that although he had a whole palace at his disposal he did not live in the palace but rather in a small house outside the palace because he believed that he should live as his people live. On parting his palace he also gestured that he would have loved to spend more time with us, but it was important to bring the trophy to the people and give them the opportunity as well. I have very rarely seen servant leadership in action, but that day I saw it first hand and it had a profound impact on my understanding of what being a leader is all about. Spending Christmas in Myanmar was also one of those occasions I will never forget. As tough as it was to be away from our families on this occasion, we had each other and enjoyed spending a modern family Christmas together on the road. (Click here to read about it) This epitomized the tour for me in more ways than one. On the one hand, we always had somewhere to go with the local team who often went out of their way to make our stay so amazing in their country. On the other hand, we always had each other and even when we were home sick, feeling down or just mentally and physically drained from the demands of the tour there was something there to pick you up and give you the strength to carry on. I remember working on the route with our team in the Middle East and discussing the time of year to visit the region as well as the countries to visit. Jordan was one such country that we wanted to visit. We took the trophy to the village of Madaba, about an hour outside of Amman. There were a group of young kids there who played the game of football on the dusty streets and who aptly dubbed their football field as the ‘Maracana of Madaba.’ There are no pitches, no refs, no lines and no red cards. Their story is one of dreams and the visit of the trophy to the village of Madaba, amongst the goats and the pure love for the game was one of my favorite memories of the tour. Click here to watch the full video. There were also those countries we visited where the trophy represented hope and inspiration. Our second to last country we visited was Japan. The highlight of the visit to Japan was the visit to Rikuzen Takada, in Tohoku. Three years ago during the great Japan Earthquake the Tsunami destroyed this coastal town. The pupils at the high school approached Coca-Cola Japan to bring the trophy to their town for the day. What followed was 6 months of conceptualizing, planning and ultimately executing a wonderful day of Happiness in Rikuzen Takada, one that will be remembered by the community and all of us visiting there for a long time to come. The visit of the trophy meant a lot to the community as well, testament to this was when the elders performed the traditional Chao Chao dance, a celebratory dance that has not been performed since 2011. There is so much more I could write, so much more I could say, so many more memories to explain but I hope this has given you a taste of what it was like to be part of this amazing journey. I am beyond grateful to have had the opportunity to lead this once in a lifetime experience. I am so proud of the team and all they achieved to make this come to life in the way it did. I am so thankful for the learnings and experiences I have had by interacting with thousands of people from different backgrounds, religions, and cultures. Some of my best moments came from those places I least expected them to and some of the most important things I learned came from people I least expected them to come from. I now know the meaning of true leadership, of true humility, of true appreciation and graciousness. I now know how lucky I have been in life to have been afforded the opportunities I have. I have seen so many, with far less, and how actualized and complete their lives are – this is Inspiration. I have seen humanity put aside their differences and come together to celebrate, to reflect and to appreciate something that brings us together – this is hope! I have seen people give of themselves, their time, their money and their emotions – this is kindness! I have seen a group of individuals, with different backgrounds and outlooks, come together to deliver this project in a way I could have only wished at the beginning of the journey – this is team! I have seen people come to each other’s side, rally around when the times were tough and stand by each other through good and bad – this is family! 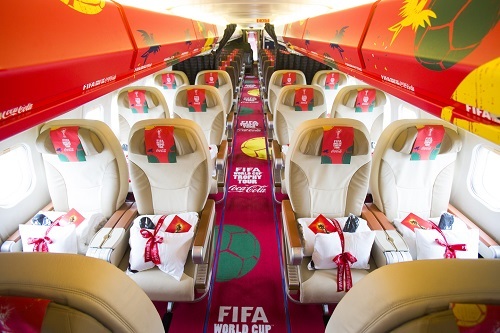 The 2013/2014 FIFA World Cup Trophy Tour visited 90 countries and gave almost one million people the opportunity to be part of the FIFA World Cup. I believe that together, as a team, we have made the 2014 FIFA World Cup the World’s Cup. We created memories and moments of happiness for hundreds of thousands and we are collectively proud to have done work that matters.